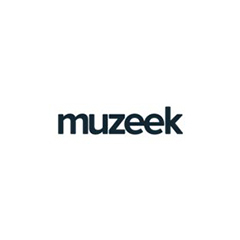 Muzeek is a patented, vertical, freemium B2B SaaS platform for independent performance venues/spaces, artists, bookers, agencies, promoters and festivals who transact within the live music industry. Built on Stripe – and using our unique, patented processes – users streamline, simplify and optimise traditionally fragmented booking operations to increase revenues, decrease costs, streamline consumption and automatically unlock valuable data to revolutionise the way they work. As a result, an incredibly useful market network is created to discover new venues, artists, agencies and promoters in otherwise unknown international regions.